It’s rare these days to see something so clever, elegant, and passionate all at once. 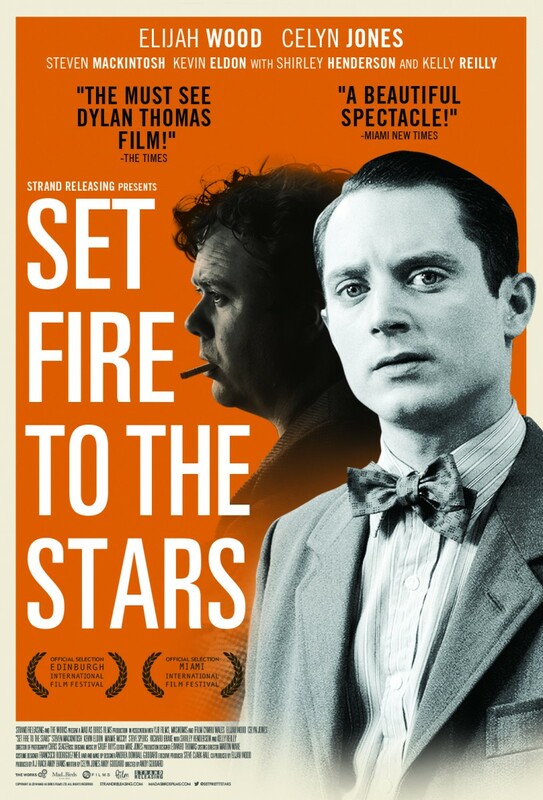 SET FIRE TO THE STARS is the story of New York academic John Malcolm Brinnin and famous poet Dylan Thomas’ brief but impactful relationship. Brinnin takes it upon himself to bring Thomas to America for a series of 25 poetry readings across the country. Ignoring the rumors that Dylan is erratic in personality and behavior, Brinnin risks his career to bring his idol to the US. Brinnin makes the fated decision to extract him from the city for a few days in order to detox mind and body, and Thomas brings a whirlwind of spirit, tenacity, and his haunted past right to John’s doorstep. When idolatry blinds common sense, is disappointment inevitable? 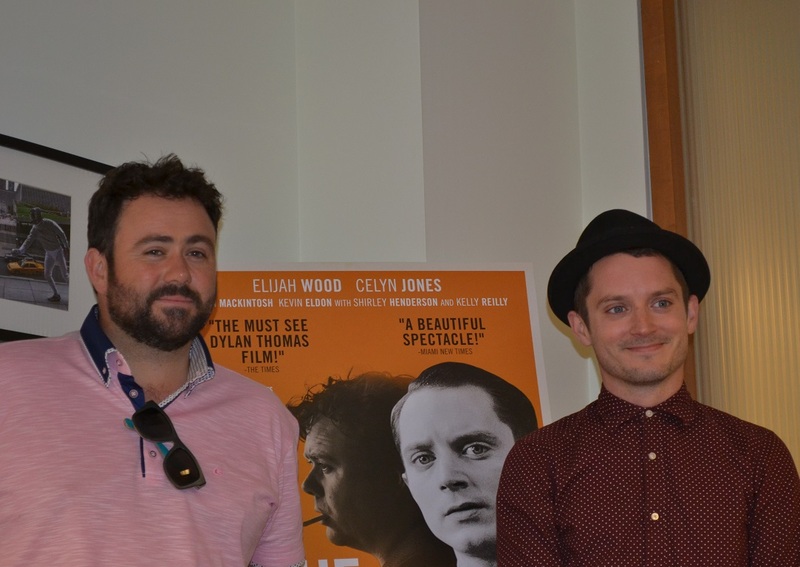 Celyn Jones, who co-wrote the screenplay with director Andy Goddard, gives an impeccable performance as Thomas. Never missing a beat, every breath and moment of silence is accounted for with an endless saturation of greatness. Celyn has had a consistently successful television career over the years and is rumored to have been cast in the upcoming production of Mary Shelley’s Monster alongside our very own Sansa Stark, Sophie Turner. I truly hope this turns out to be true. I want to see so much more of Celyn on screen, any size will do for my liking. He and Elijah Wood have completely believable chemistry together. Two men from different worlds, who I believe envy one another for very different reasons. Known for his long eclectic career for films like The Lord of the Rings to more recent indie gem Grand Piano, Wood has picked another winning script and delivers. His performance is pensive and thought-provoking. Brinnin goes through quite the journey during the course of this particular snapshot in time. Set Fire To The Stars is based upon Brinnin’s novel titled Dylan Thomas in America. To be more specific, only 7 pages of his novel make up the entire basis of the script, and what a glorious 7 pages chosen by Jones and Goddard. The film is shot in black & white giving it a timeless quality. With a luscious beatnik jazz inspired soundtrack, Andy Goddard‘s directorial debut sings off the screen. Glorious lighting and splendid camera work take the slight exhale of a cigarette and create an ethereal piece of art. Long, heavy dialogue takes are beyond engrossing, they are poetry in their own right. Proof that Jones and Goddard teaming up was pure genius. Combined with the deliciously affected speech of the literary elite and era, Jones and Woods give us performances that might otherwise sound droll had it not been for the clear understanding and passion behind the text. This film is like like perfect ice cream sundae, with everything on top. If you are already a poetry fan, well, you might as well consider yourself down for the count. You will absolutely fall for this movie. I, for one, will be adding this to my DVD collection as soon as it becomes available, which thankfully, is very soon. I was lucky enough to be a part of an intimate roundtable interview with Celyn and Elijah just yesterday. How method is Celyn when it comes to role preparation? Will Elijah be starring in a mistaken identity flick with Daniel Radcliffe? Find out all the juicy details in this extraordinarily fun interview in our newest episode of the Girls On Film podcast. Enjoy! OPENS FRIDAY, JUNE 12, 2015 in New York at The Village East, with a Los Angeles and major city roll out, June 19th! SET FIRE TO THE STARS will be released nationwide on July 21 on DVD, VOD, Digital platforms and Itunes. 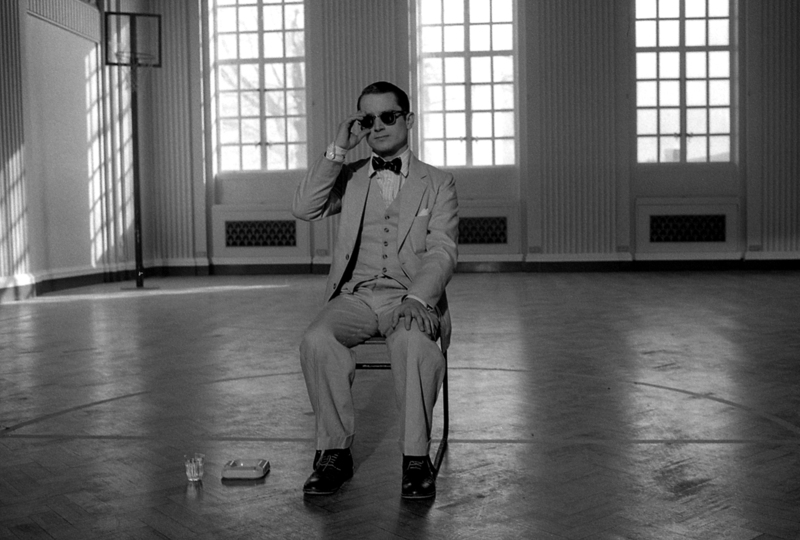 Based on true events, Elijah Wood stars as John Malcolm Brinnin, the New York academic who brought Dylan Thomas to America. 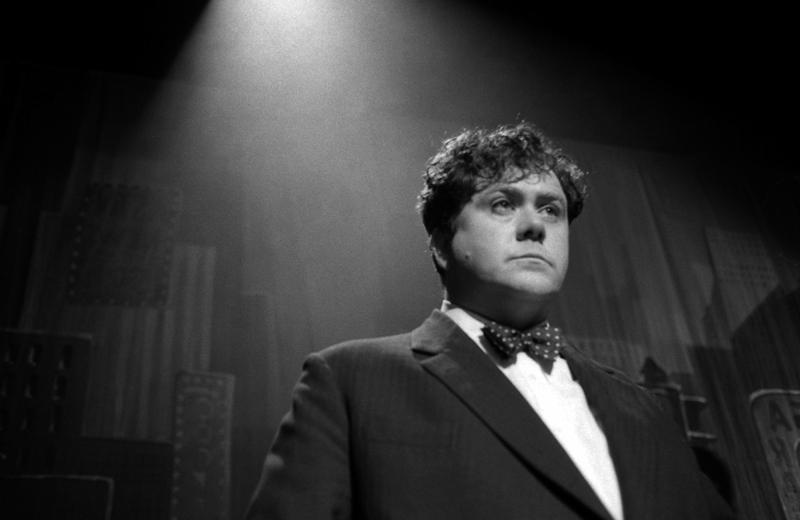 Actor/co-writer Celyn Jones plays the volatile celebrity poet – tormented by anonymity, alcohol and the abyss – who scandalized the Manhattan literati of the Fifties and challenged Brinnin’s hero worship of his work. In the face of the Welsh poet’s wilder excesses in the Big Apple – angel, beast and madman – John has no choice but to hijack Dylan to a private retreat to get him ready for America. The days and nights that follow will change his life forever. 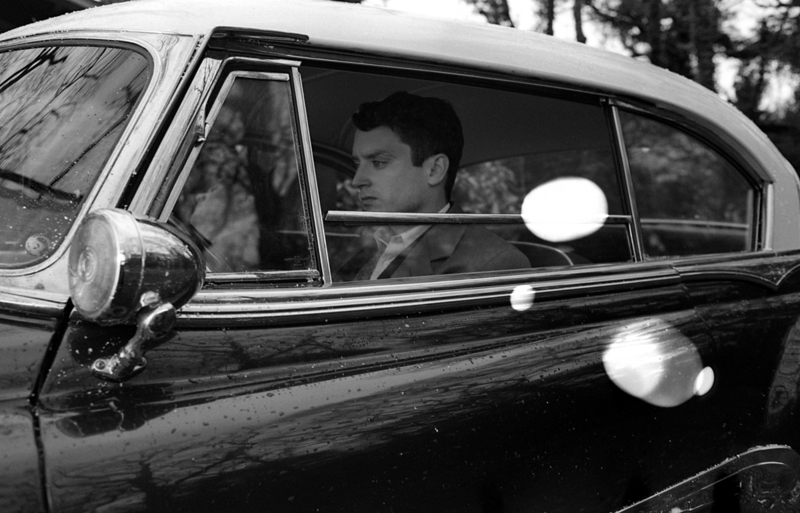 Part literary biopic and – shot in cut-glass black-and-white – part love-letter to the American B-movies of the Forties and Fifties, Andy Goddard’s debut feature is both a character driven chamber piece and a cautionary tale about the flytrap of meeting your heroes. This entry was posted in Liz, Reviews and tagged Andy Goddard, based on a novel, black and white, Celyn Jones, co-wrote, Dylan Thomas, Elijah Wood, Grand Piano, John Malcolm Brinnin, June release, Mary Shelley's Monster, Sansa Stark, SET FIRE TO THE STARS, The Lord of the Rings by Liz Whittemore. Bookmark the permalink. Liz grew up in northern Connecticut and was memorizing movie dialogue from Shirley Temple to A Nightmare on Elm Street at a very early age. She will watch just about any film all the way through (no matter how bad) just to prove a point. A loyal New Englander, a lover of Hollywood, and true inhabitant of The Big Apple.